According to the owner of this 1998 VW Beetle, it was actually made in Mexico, not assembled from parts in the U.S. and titled under a cannibalized Beetle that’s at least 25 years old. 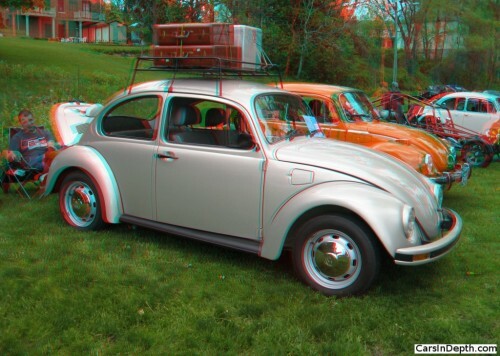 He says that it’s titled in Ohio as a 1998 Volkswagen. Federal law prohibits the importation of any vehicle that is less than 25 years old and doesn’t meet Federal Motor Vehicle Safety Standards so I asked him how did he get it registered. He said that he didn’t know how exactly it was done but that the previous owner, who imported it, spent about $8,000 getting it legal. It was photographed at the 2014 Orphan Car Show in Ypsilanti, Michigan earlier this year. 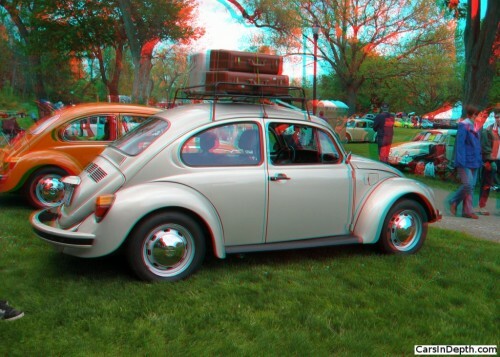 This entry was posted in 3D Imagery, 3D Photos and tagged 1998 VW Beetle, Mexican Beetles, VW Beetle, VW Type I. Bookmark the permalink.